Goalkeeper Darryl Flahavan has left Crawley Town after the League Two club withdrew the offer of a new contract. The 37-year-old former Southend and Bournemouth player made 14 appearances for the Reds after joining the West Sussex club in October. 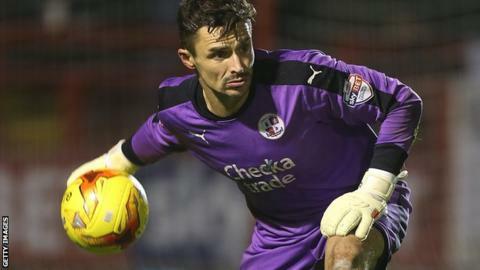 "We are now looking for another goalkeeper to compete with Callum Preston for the position," Crawley boss Mark Yates told the club website. "We hope to have someone by Saturday, when we play Yeovil." Yates continued: "Darryl has been extremely professional during his time here and we wish him all the best for the future."